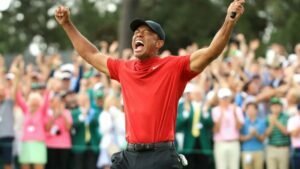 Famous Golfer Tiger Woods completed one of the sport’s great all-time comebacks to end an 11-year major title drought at the Masters by claiming a fifth Green Jacket. A gritty two-under 70 clinched a one-shot victory over Dustin Johnson, Brooks Keopka and Xander Schauffele. It is Wood’s 15th major title. The victory also marked the first time Woods had reached the winner’s circle at major without leading after 54 holes.